Currently there is no goal or objective. 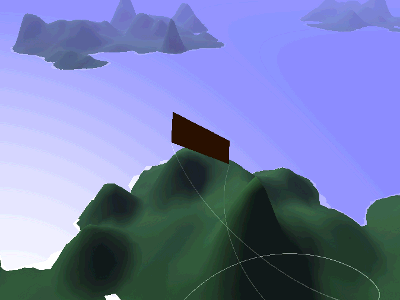 The level contains four procedurally generated islands, with meshes made from scratch. There is a basic flight controller which the player can use to explore the terrain. Press Escape to generate a new map. I plan to do a longer post describing how the mesh was generated from scratch in C#. looking forward to your post on procedural generation! Jokes apart, that’s pretty cool, good work! Do you have any plans to share the project files? Have you considered uploading this to the asset store as a template project? Looks really good, I bet a lot of people would find it useful if you decide to seel it. Really a good job. Is this available in asset store? No, the rigidbody code is still a mess. I’m still figuring out how to build good character controllers.